I was in the mountains with friends over July 4th weekend. I took them to a place on the parkway we discovered last year—Skinny Dip Falls. Being a hot holiday weekend, the place was packed. 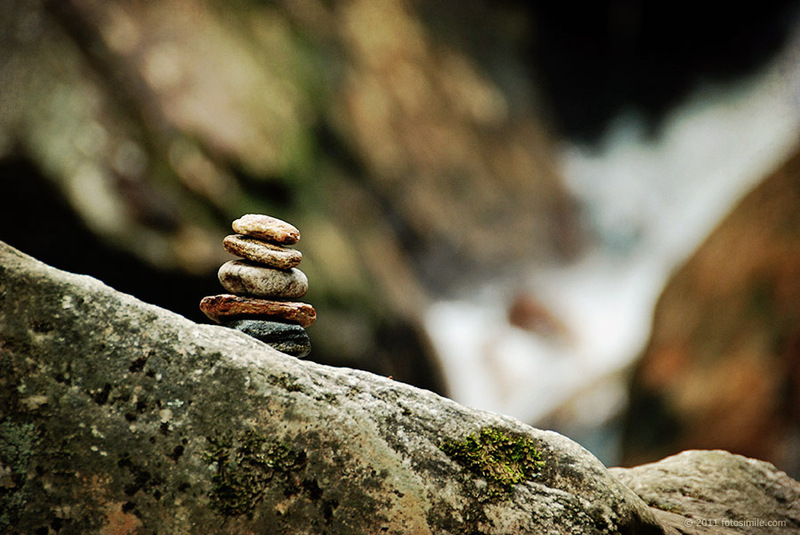 I did manage to squeeze out this shot, courtesy of whoever stacked these stones near the falls. I wonder if they had seen the videos on the internet I had stumbled upon recently of a man who creates incredible standing stone sculptures (click here)?